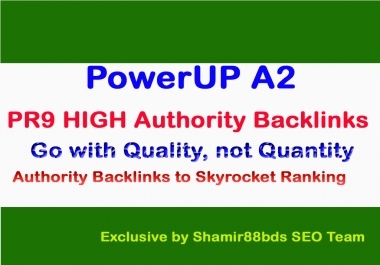 If you are looking High Quality Manually Created Backlinks by affordable price, then you are in right place. 100% Manually created as Google Panda, Penguin & Hummingbird Safe. 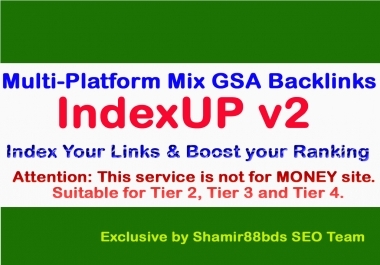 If you would like to purchase safe backlinks from TOP authority domains and rank your website TOP in Google, then I'm here to help you out. 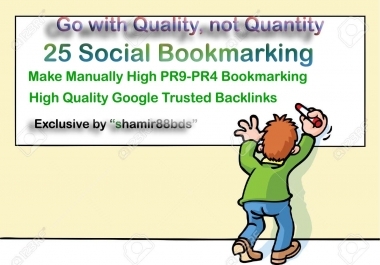 I will build manually 30 Social Bookmarking Links from unique and different PR9-PR4 authority Social Bookmarking domains. Stumbleupon, delicious, diigo, reddit, folkd & pinterest will add great credibility and trust to your website. The safe mix of 50% dofollow and 50% nofollow, contextual and relevant, anchored and non-anchored. Feel free to check my profile with the latest ranking proof. 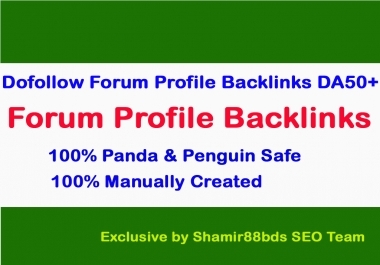 These Backlinks are 100% friendly with Panda, Penguin & Hummingbird updates. To get best Ranking results, make sure your On-Page SEO is well done. Also, make sure you have done your keyword analysis properly and the keyword you are targeting is rank-able & long tails. A: Most links are do-follow and few links no-follow, contextual, anchored and non-anchored to stay more natural when the links are indexed. A: Yes, Currently I offer 4 get one FREE, Please “follow” me to get update any special discount and offers. A: Just scroll down the page and see ORDER NOW button below this text, press it, pay, view your order, submit your details. After few minutes, we’ll say hello to you.